We've taken a lot of care and spent time detailing all the ingredients for everything from the coffee beans to jams, flour to fruits. Our featured supplier at the moment is the wonderful Glen Lyon Coffee. They may be in Aberfeldy but their taste finding adventure spanned continents and oceans. They're a socially responsible supplier - ensuring that the beans they roast on the banks of the River Tay can be traced all the way back to their origins and that the farmers are fair trade association members, allowing a fair price for the product. Glen Lyon's supply system also works over 12 countries and allows the best of the seasonal produce to be bought and transported to Perthshire where the experts work their magic and brings the beans to life. That's where Granary steps in. 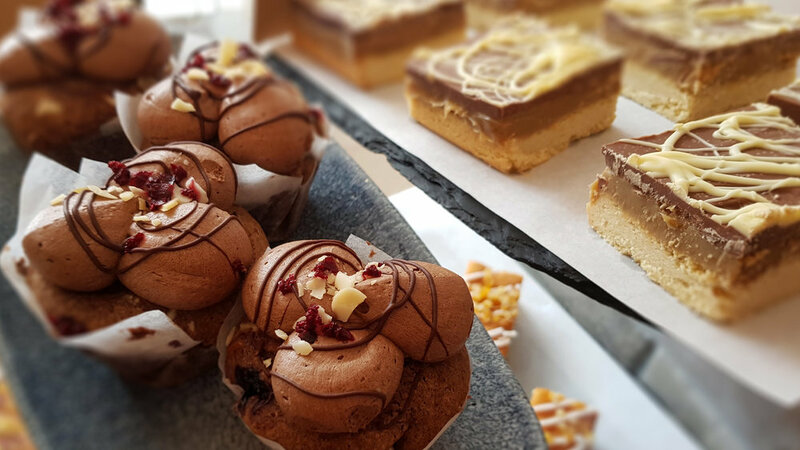 Our customers, our coffee, our cakes - all a passion, and we'd only want the best for you. The team at Granary took classes (yes, classes!) to learn how to morph from coffee maker to a superstar coffee barista! Knowing that so much goes in to making the right cup of coffee and all their swish variants, the right beans, the temperature, the containers and other ingredients all count towards making it memorable. If you have any feedback for us, please, head here and fill in the quick form or message us on Facebook.